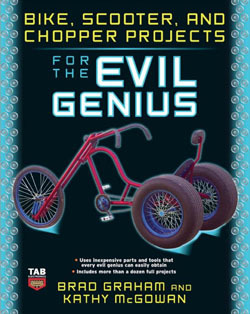 I just received a copy of Brad Graham and Kathy McGowan’s latest book Bike, Scooter, and Chopper Projects for the Evil Genius. Like Brad’s last book Atomic Zombie’s Bicycle Builder’s Bonanza, this one features step by step instructions for creating a variety of unique bikes using only basic tools and inexpensive parts. 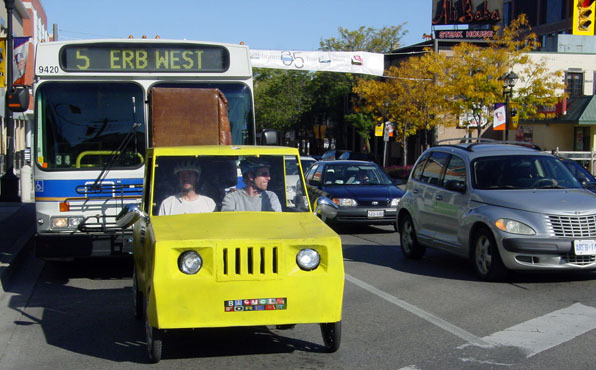 Besides trikes, scooters, choppers and tall bikes, the book also explores various electric vehicles. Along the way, the reader will find the encouragement needed to design and build their own completely unique bikes. With Christmas on the horizon, this book would be a great gift idea for the evil genius in your life. This week, I’m busy moving operations to the new headquarters across town. I moved the couchbike last week and got one of my couches relocated that way. 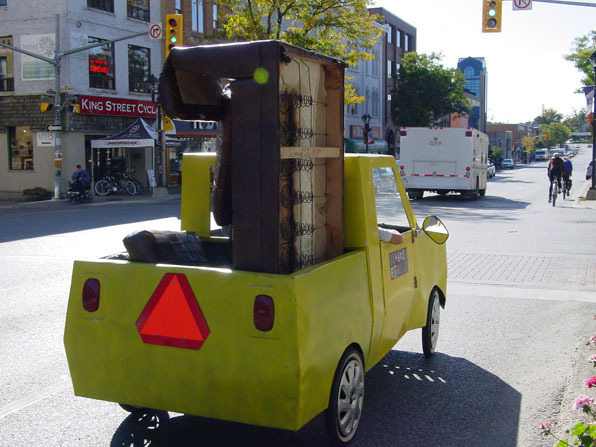 However, there was still one more couch to move, so Mohrgan and I popped it in the back of the pickup truck bike and hit the road. You are currently browsing the Bicycle Forest Blog weblog archives for October, 2008.